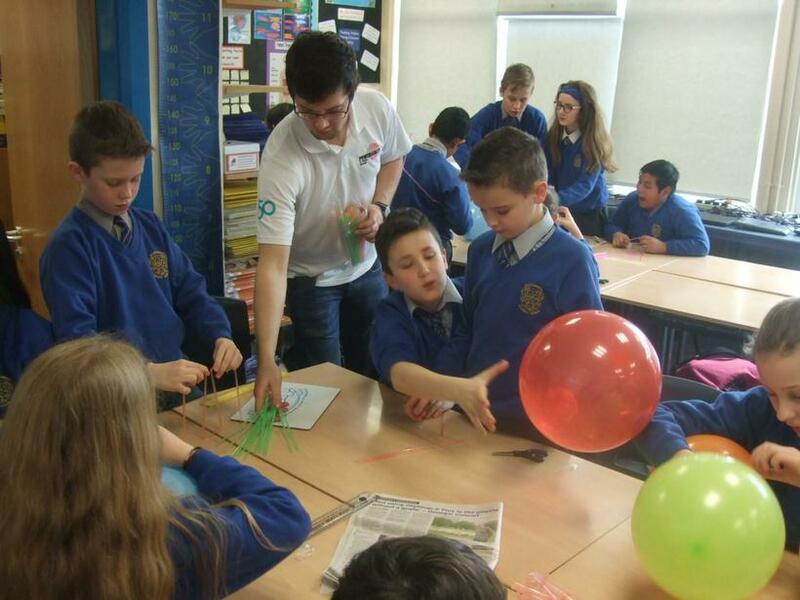 During Science Week we had a visit from an engineer called Alistair. 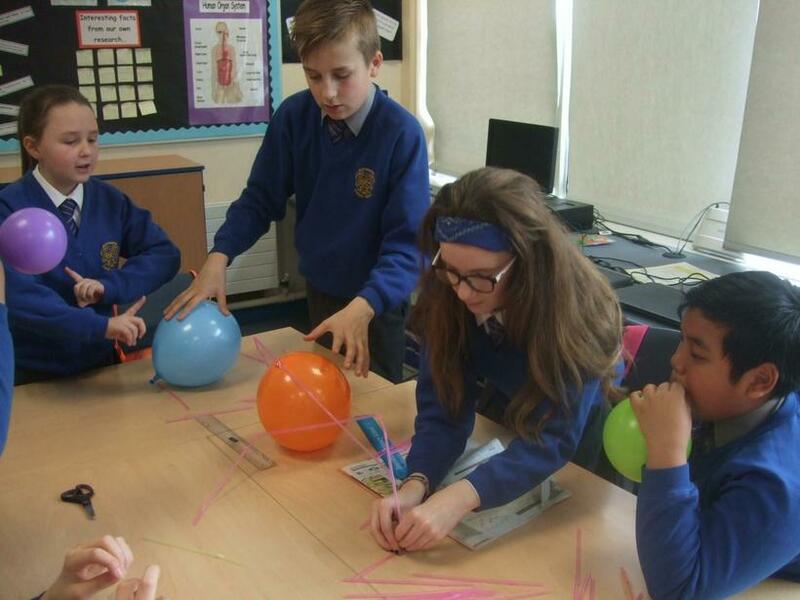 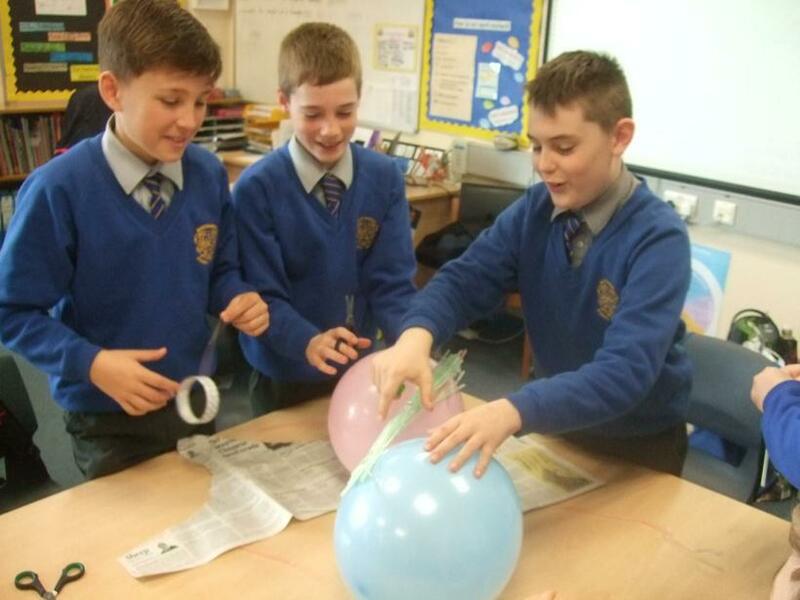 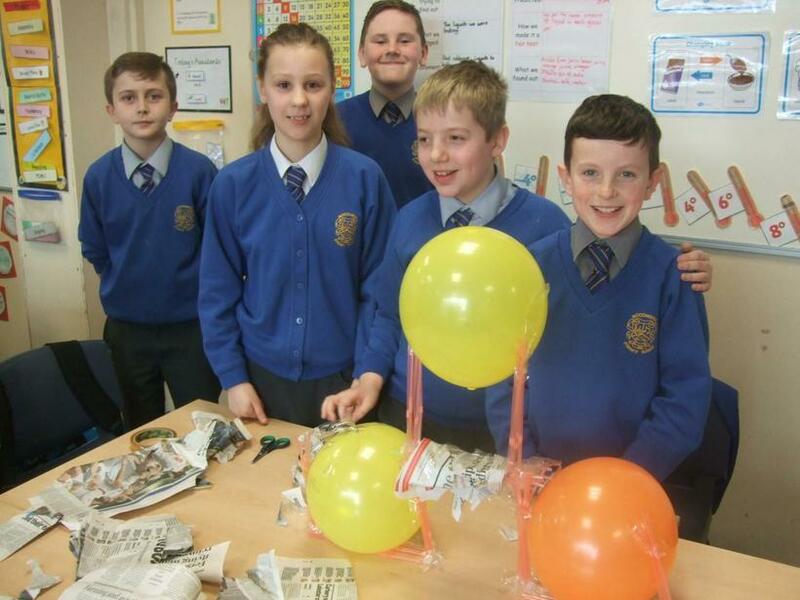 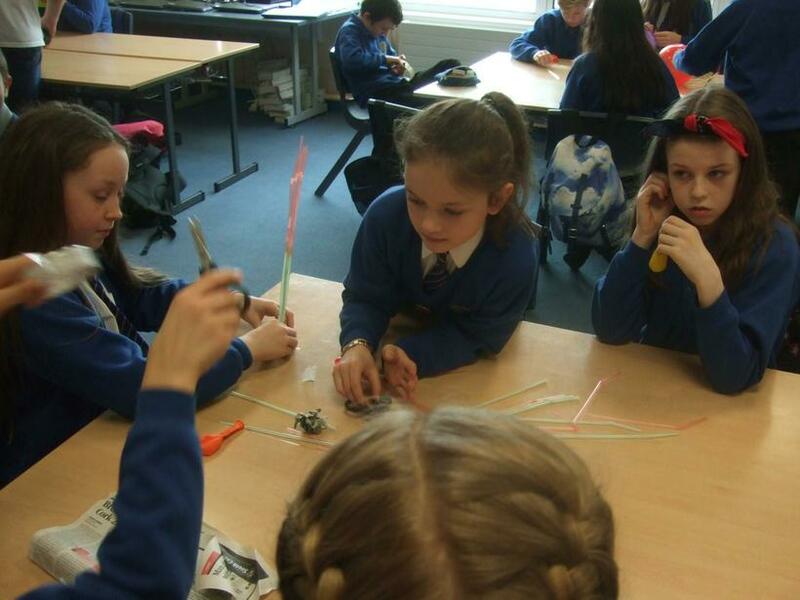 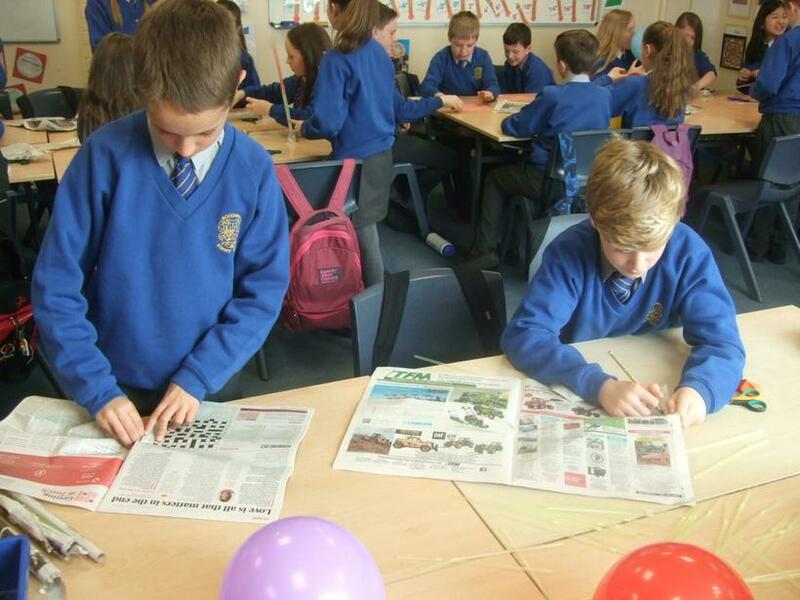 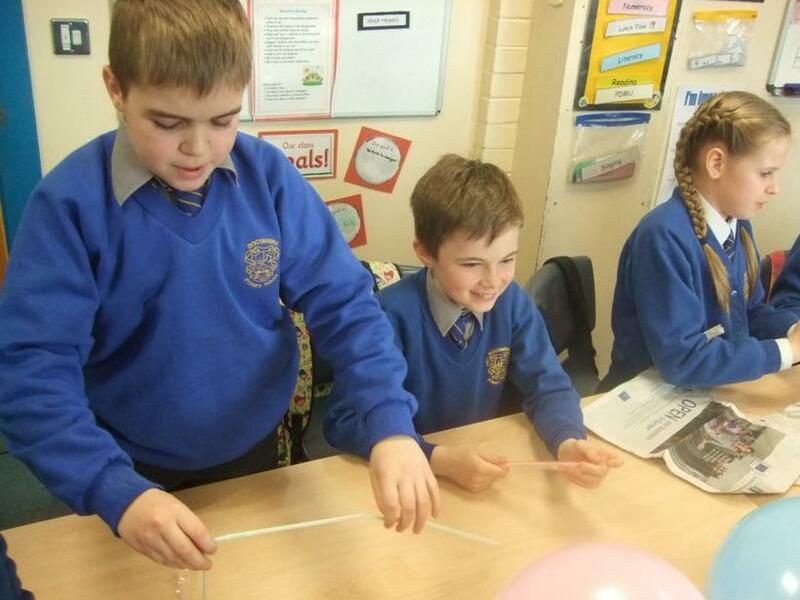 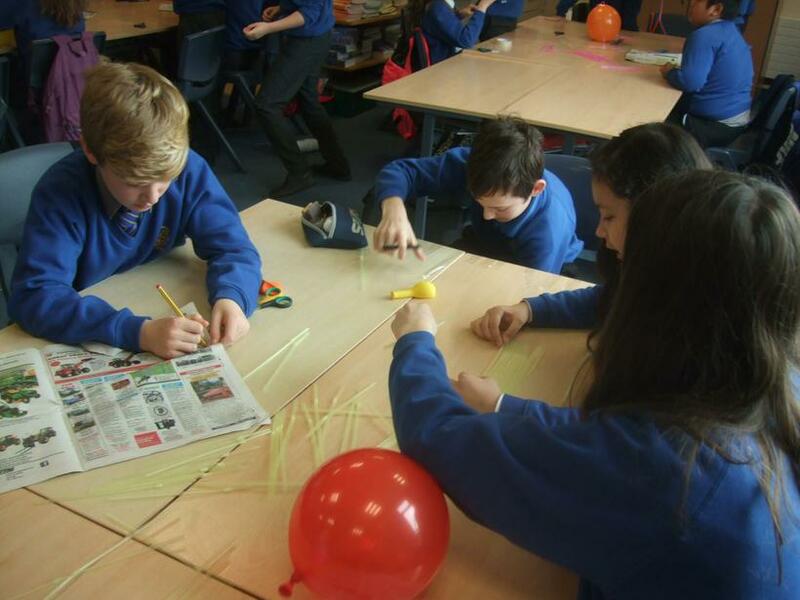 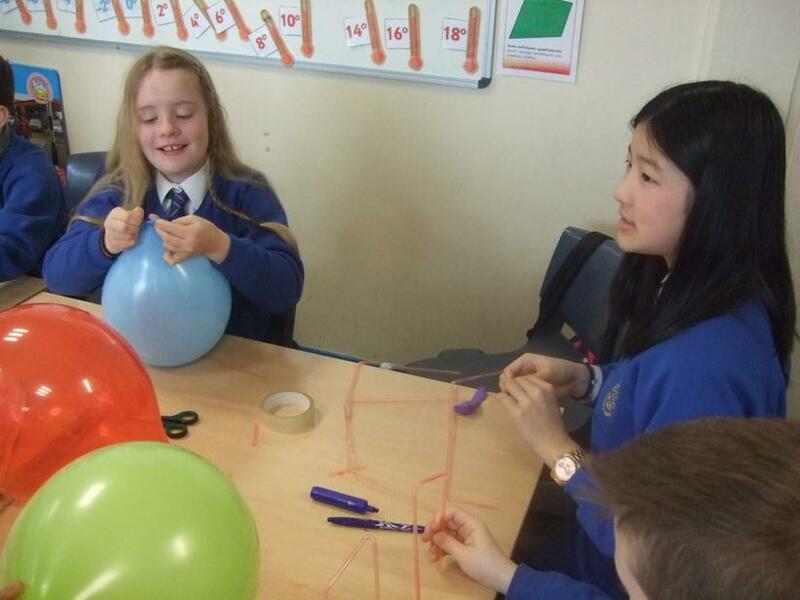 He gave us the task of constructing a bridge using balloons, straws, selotape and newspaper. 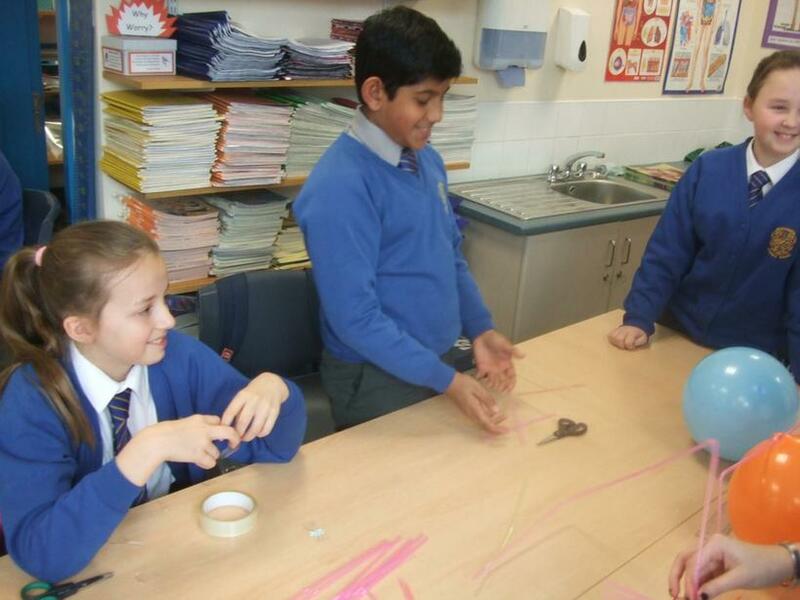 We had to work together in groups and design it so that it was a certain length and breadth. 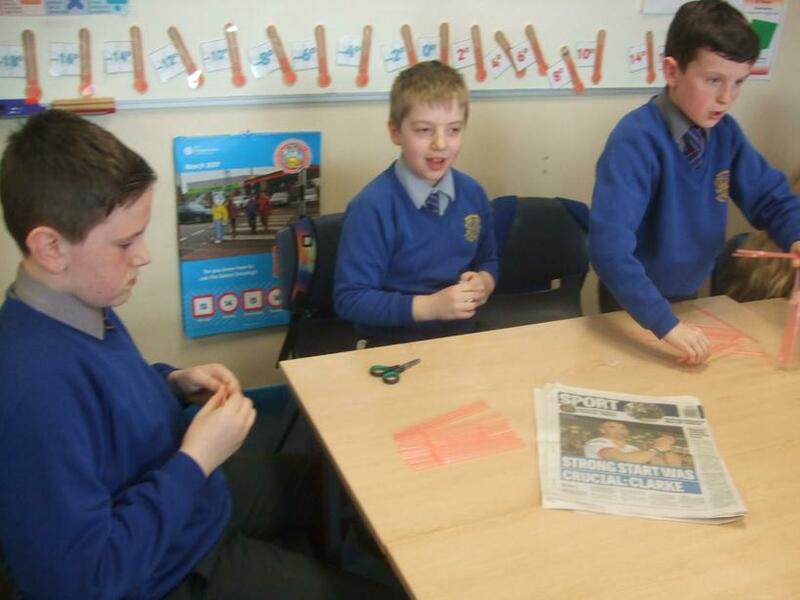 It was quite tricky to do!